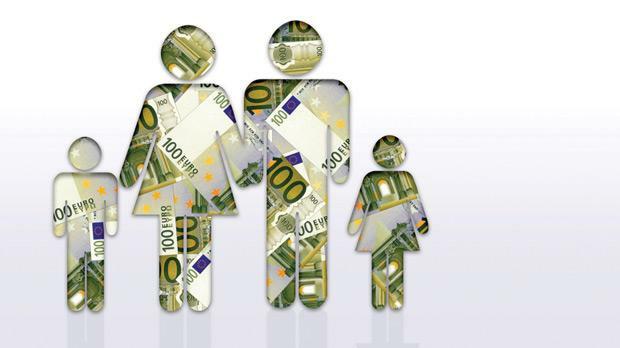 The tax burden for Maltese family businesses is in the top three when compared to 23 countries tracked in the European Family Business Tax Monitor for 2014. Tax treatment varies significantly across Europe with the different levels of complexity and obligations. The result of the EFB-KPMG Tax Monitor shows that in many European countries, governments still impose a tax on intergenerational family business transfers. But many European countries apply reliefs as the tax burden on such transfers within the family business could hinder future growth and investment. If one is not prepared, the tax obligations can be severe. The Tax Monitor studies a small family business valued at €10 million with a potential tax burden on succession through inheritance or succession on retirement. Out of the 23 surveyed countries, seven impose no taxes whatsoever on inheritance. Assuming that no reliefs are applied, the potential tax burden varies from €0 to €4 million. The figures highlight the importance of early preparation because the tax landscape changes dramatically when tax exemptions are taken into account. With exemptions, the number of countries which impose no tax goes from seven to 13. But even with exemptions certain countries impose comparatively high levels of tax, with the maximum being €1.5 million. In this case Malta is the third hardest hit country after Denmark and France, as can be seen in the graph. Out of the 23 surveyed countries, six impose no taxes whatsoever on retirement. Once again, assuming no reliefs, the potential tax burden can be significant, with the top four countries levying between €2.8 million and €4.2 million upon a transfer of the business. When we look at the tax landscape with reliefs, major changes occur: 13 countries apply no tax, but the top six still levy a comparatively high amount of between €0.3 million and €1.5 million. In this case Malta is the second hardest hit country after Denmark. Malta does not impose inherit-ance and gift taxes, and does not impose tax on capital gain upon the donation of shares in a Maltese family-run business company where the recipient of the shares is the spouse, descendants or ascendants in the direct line and their relative spouses or, in the absence of descendants, brothers or sisters and their descendants. However, duty on documents and transfers, both in the case of a transfer inter vivos such as in the case of a donation of shares referred to above, and on succession through inheritance, is payable by the recipient at 2 per cent or 5 per cent. The 5 per cent rate applies if it is a transfer of immovable property or a transfer of shares held in a company 75 per cent or more of the assets (as defined in the Duty on Documents and Transfers Act) of which are immovable property or rights over immovable property situated in Malta. No further exemptions or reliefs apply to these rates of tax, and there is an identical tax burden on succession through inheritance and on retirement, either with or without exemptions and reliefs. What is clear from the study is that family businesses can face an uphill struggle if they want to keep running the business within the family. In the case of Malta the funds to meet the stamp duty levied must be found from other sources as no cash has been generated by the individuals or the business as a result of the business transfer. This reality can severely hinder the future growth and investment capacity of a business. Finally, the differing tax treatment of inheritance and retirement in other countries is interesting, and such policy differences can often result in changes to the families’ behaviours. For example, the leaders of family businesses may hold on to control of the business for tax reasons, which can be frustrating for the next generation and act as a constraint on business growth. Mario Duca is the president of the Malta Association of Family Businesses and Tony Pace is the KPMG Tax Partner for Family Business.